Students review the difference between federal and state courts. Then they learn about the three levels of the federal court system, focusing on the components of U.S. District Courts and the U.S. Court of Appeals. Next, they learn about the types of federal judges in these courts. Finally, they hear from an individual judge in the U.S. court system and describe how that judge’s life prepared him or her to serve on the bench. 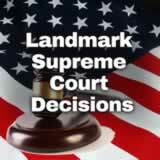 In this experience, students review the difference between federal and state courts. Then they learn about the three levels of the federal court system, focusing on the components of U.S. District Courts and the U.S. Court of Appeals. Next, they learn about the types of federal judges in these courts. Finally, they hear from an individual judge in the U.S. court system and describe how that judge’s life prepared him or her to serve on the bench. You may also use the experience The State Judicial Branch to learn more about the differences between state courts and the U.S. Supreme Court. 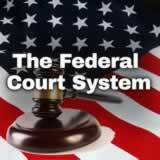 Explain how the federal courts are organized. 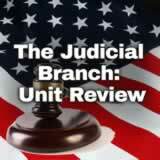 Describe the selection process for federal judges. “I’ll see you in court!” Have you ever heard that—possibly on a TV show? What happens in all these courts? If a company goes bankrupt, what kind of court deals with that case? What court handles adoption cases and other family-related matters? 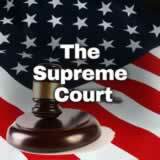 You will learn about the court system in this experience. A judge often uses a gavel as a signal to bring a courtroom to order. 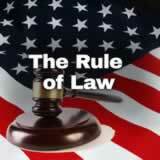 Start by seeing how the overall U.S. court system works by watching How Does the U.S. Court System Work? 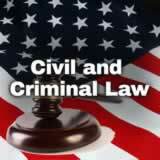 List several types of cases that might appear in federal courts and state courts. 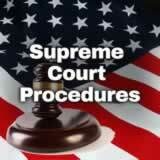 Discuss student responses to be sure they understand the basic difference between state courts and federal courts.